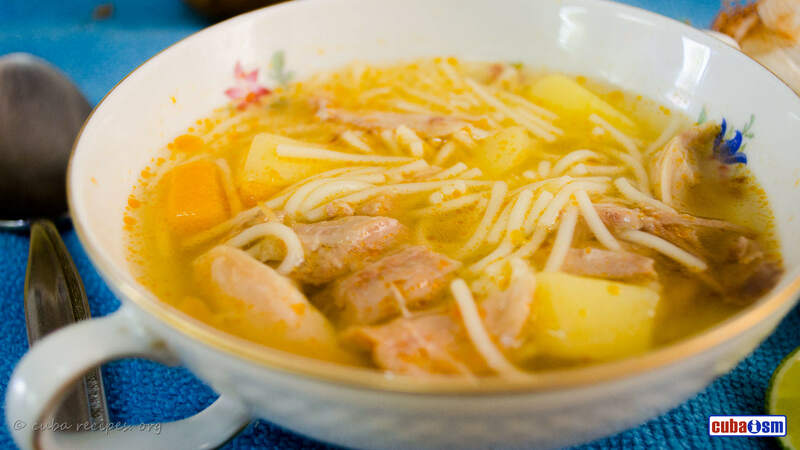 Simple, Easy to Make and Delicious, there's nothing better to fight the cold that a good homemade Cuban Chicken Soup (Sopa de Pollo), great for and appetizer or a meal. I'm absolutely confident you'll love this recipe! Remove the skin from the chicken thighs and sprinkle a little bit of salt on each side. In a large pot, add the water, chicken, tomato paste, onion, chicken bouillon, garlic and oregano. Bring to a boil, then reduce to low, cover, and simmer for 30 mins. Add the potatoes and carrots, cover and simmer for another 30 mins, until the potatoes are tender.